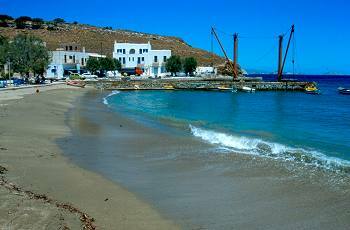 A picturesque fishing port about 37 kilometers (23 miles) to the east of Naxos town. 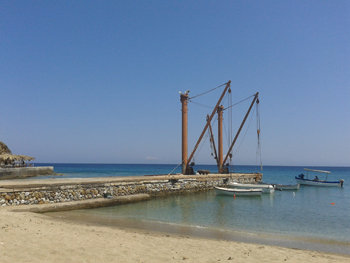 In times gone by, Moutsouna was where the smirida mined in Apiranthos and Koronos were shipped to the rest of Greece. Today nothing remains except from the aerial transport system and the storage facilities at the port to remind of the old times. Moutsouna has many small beautiful beaches which are never packed with tourists. You can also find many taverns and some accommodation properties.